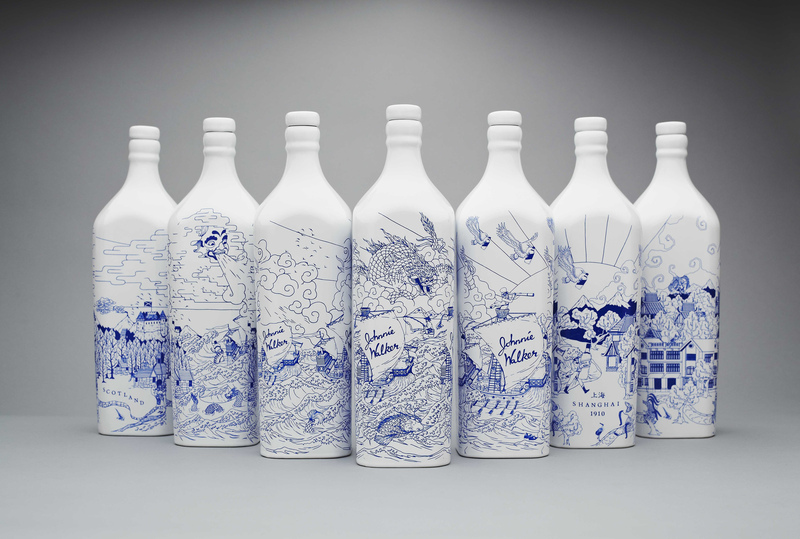 The Johnnie Walker 1910 Commemorative Special Edition Bottle range has been awarded a Yellow Pencil for packaging design at the 2012 D&AD Awards. 1000 bottles were produced to mark the launch of the Johnnie Walker House in Shanghai. 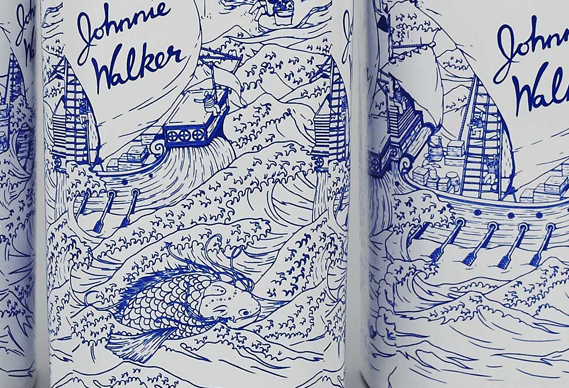 The design, developed by creative agency LOVE and designed by Chris Martin, tells the story of Johnnie Walker’s epic journey from Scotland to China. 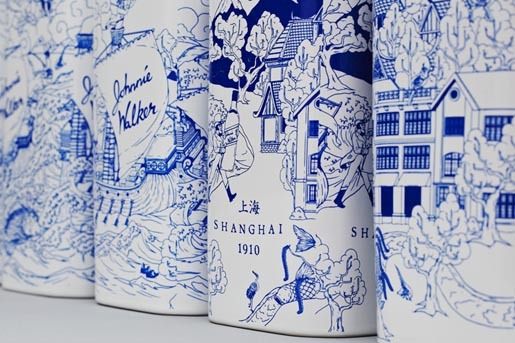 Each bottle features a different section of the illustration, which has been applied in China’s traditional blue and white willow pattern colours. LOVE has taken Chris’ master illustration and given it various treatments. 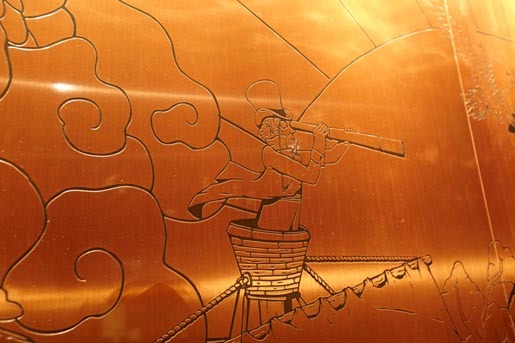 In one room it has been reproduced in copper to create a striking art installation covering an entire wall. The illustration has also been featured on marketing collateral, including a limited number of gift packs to mark the House opening. The “By invitation only” House provides a place to help Chinese consumers discover the status and heritage of Scotch whisky. 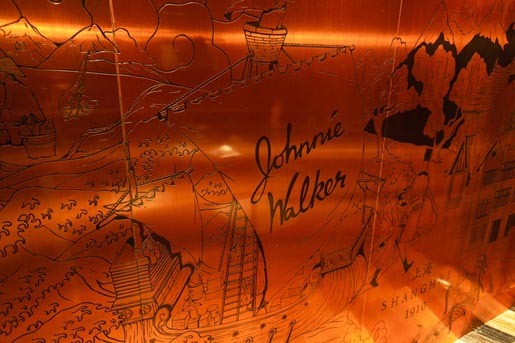 Every room, display and interaction sets out to engage guests and tell the story of the brand, from the art installations made from raw materials used in the whisky making process, to sculptures, an interactive multi-sensory blending table and original artifacts from the Johnnie Walker archive in Scotland. See more on the Love site. The 1910 Commemorative Edition, commissioned by Diageo, was designed at Love Creative, Manchester, by design director Chris Myers, creative director Dave Palmer, illustrator Chris Martin, production manager Dani Hawley.